Oak Ridge National Laboratory will partner with Kodak to explore ways that film can be used in next-generation battery and energy-storage devices. Kodak and Oak Ridge officials announced the collaboration this afternoon at Eastman Business Park. But some other news also came out of the event: Kodak is keeping Eastman Business Park, according to media reports. The company started leasing or selling off old buildings on the former Kodak Park campus a few years. And last year, it put the remainder of the park up for sale. The Oak Ridge-Kodak partnership will center around roll-to-roll manufacturing, which is basically a way of rapidly coating large rolls of thin film. 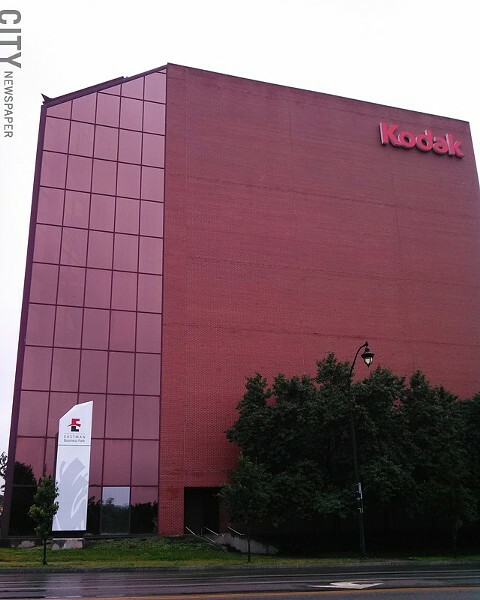 The agreement will give emerging companies access to resources at Eastman Business Park and Oak Ridge, with the goal of commercializing the technologies and bringing them to market quicker, according to a press release from Kodak. Company and Oak Ridge officials say that the agreement could lead to new jobs and companies at Eastman Business Park. For the past few years, Kodak has worked with different companies on the process, and has tried to capitalize on its expertise in the area. Roll-to-roll manufacturing is the same basic process that Kodak has used to make photo and motion-picture film. And company officials, as well as state and local economic development officials, say that the technology has potential for use in the manufacturing of batteries, fuel cells, and solar cells, among other devices. The US Department of Energy's Oak Ridge National Laboratory conducts research on advanced materials, clean energy, nuclear sciences, national security, and supercomputing, according to its website. It's based in Tennessee.